Seattle is easily one of the most beautiful port cities in the country, full of the sights and sounds of a city complemented by unparalleled scenery. Forests of never-ending greenery, high peaks rolling into sweeping valleys, islands, waterways, and gorges envelop the city, making it one of the most inviting places to visit in the United States. The growing metropolis attracts travelers from around the world and plays host to some of the most brilliant minds in the technology, art and outdoor industries. No matter the time of year, there’s something for everyone to enjoy. Culinary? Music? Seasonal celebrations? You’ll find it all in Seattle. Seattle is a mecca for live performance. Whether it’s a musical rendition, comedic show, or theatrical drama, the city loves its arts. Kick off 2017 with 14/48: The World’s Quickest Theater Festival. This two-weekend, twice-yearly event is an absolute riot. After tapping the ceremonial 14/48 Keg, all the participants choose a theme by completing the sentence: “Theatre would be a lot more interesting if there were seven ten-minute plays about _____.” One answer is chosen at random and that becomes the theme for the show. Seven playwrights create a brand new show literally overnight which seven directors then randomly select their play and actors to debut the following night. Friday’s audience picks the theme for Saturday and the processes begin again. Crazy, huh? You’ll easily be laughing your sides off in this early-season KO if you’re interested in the arts and theater scene. On the complete opposite end of the spectrum, it may be the middle of winter, but from January 27through February 4, The Seattle Boat Show puts on boating and fishing seminars both indoors and afloat in Chandler’s Cove on South Lake Union while vendors and gear experts set up shop at CenturyLink Field. Learn how to navigate electronic systems and radar, understand how to maintain a weather log, and discover what it takes to catch Dungeness crab in this unique event for water lovers. No matter your experience level, the conference is open to all and was founded on the principal of passion for all things aquatic. From boating and fishing to flight and technology, Seattle’s rich cultural history laid the foundation for some of the most incredible advancements of modern day. 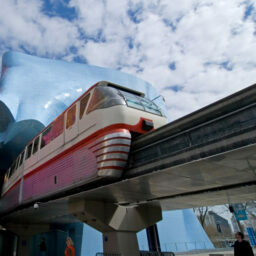 These achievements are celebrated in February at Seattle Museum Month. 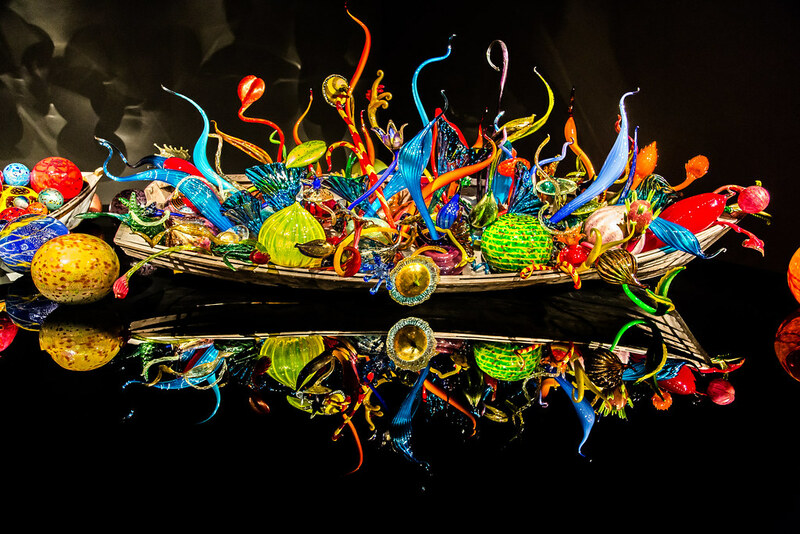 Hotel guests receive half-price access to over 40 of the region’s best museums, including Chihuly Garden and Glass, Flying Heritage Museum, LeMay – America’s Car Museum, Museum of History & Industry (MOHAI) and much, much more. Discover the roots of Seattle and explore the industries that made Seattle what it is today. With the Pacific Northwest weather, it should come as no surprise that the gardens surrounding the city are some of the most beautiful and lush anywhere. Heralding the start of spring for the last 17 years, the annual Northwest Flower & Garden Show at the Washington State Convention Center offers one of the best lineups of horticulture seminars in the world and is completely free. You’ll learn a ton about perfecting your green thumb, while getting your tools ready for spring. While some cities hibernate in the winter months, Seattle celebrates its diverse culinary scene. Arcade Lights at Pike Place Market is a premier tasting event featuring 70 of the best artisan bites, craft beer, cider, and cocktails. Enjoy music, food, and fun on March 24 as you eat your way through the heart of the city. With over 850 wineries in the region, Washington State is the second largest producer of wine in the U.S. This year marks the 20th anniversary of Taste Washington, the largest single region wine event in the US. Held March 23 through 26, you’ll get to sip and sample goods from over 300 wineries, 70 restaurants, and see former Top Chef contestants showcase their skills. Enjoy the VIP Red & White Party or join in the Grand Tastings throughout the fun four-day festival. April marks springtime and the Skagit Valley Tulip Festival is a sight to behold when ringing in the season. While it’s a 60-mile haul north of downtown, it’s the perfect way to escape to nature. Each year more than 1 million visitors come to see over 300 acres of blooms throughout the month. The Pacific Northwest is a cultural melting pot with diversity front and center at the Seattle Cherry Blossom and Japanese Cultural Festival. The event has been running for over 40 years in celebration of the 1,000 cherry trees gifted to the city by the Japanese government to commemorate the nation’s bicentennial. From April 21 through the 23, enjoy celebrating Asian culture at Seattle Center. Kick off summer at the annual Sasquatch! Music Festival, held every Memorial Day weekend at the world-renowned amphitheater, The Gorge. It’s a three-day extravaganza featuring some of the hottest performers on the planet. The experience isn’t complete without camping to really appreciate the breathtaking backdrop. Upstream is a brand-new music and technology festival throughout Seattle’s historic Pioneer Square neighborhood. The creative collaboration features over 200 performances at 25+ venues. 75% of the performers are from the Pacific Northwest so it’s a great place to find your new favorite local artist. The event takes place May 11 through 13. There’s only one way to ring in summer in Seattle: Fremont Solstice. Held June 16 through 18, the event is for anyone that loves live music, the arts, and indulgence. Included in the weekend is the Solstice Social Good, which connects businesses and non-profit ventures in an open forum to help change the world. Craft beer has gained serious momentum in the Pacific Northwest due to an abundance of fresh ingredients and a collaborative brewing culture. Another way to celebrate the start of summer is at the Washington Brewers Festival June 16 through 18. You’ll get to taste more than 500 brews from 110 local producers, enjoy food truck fare, live music, and tons of other activities. July is arguably one of the best months of the year to be in Seattle – made better by Seafair, which kicks off its Summer 4th celebration on the water with a dramatic fireworks display you can see from Gas Works Park or from your boat. The festival was founded in 1950 to encourage marine pastimes and promote Seattle as a great boating city. Other July events include the Milk Carton Derby, the Torchlight Parade and Pirates Landing. One of Seattle’s hippest neighborhoods, Ballard’s historic connection to the fishing industry and its Nordic roots make it a prime location for the Ballard Seafood Festival held July 8 and 9. Enjoy a traditional salmon barbecue, local music, arts and crafts, a beer garden, and more fresh seafood than you could ever consume. The event is free to enter, and has been held every year since 1974. Seafair Weekend (August 4 through 6) is the culmination of Seattle’s Seafair Festival. Featuring the annual Boeing Air Show with hydroplane races, the famed Blue Angels and a waterski exposition, the weekend offers opportunities to enjoy all the festivities on Lake Washington. If you need to shake off your sea legs, you can catch the action from Genesee Park. The event signals summer is winding down so be sure to make the most of the warm weather out on the water. Labor Day weekend at Bumbershoot is the perfect way to welcome fall in the Pacific Northwest. Held in the 74-acre Seattle Center, the venue was originally built for the 1962 World’s Fair and now hosts the iconic Space Needle. Seattle’s longest running music and arts festival, Bumbershoot was named after a colloquial term for “umbrella.” As such, the festival is a mixed bag of programming that includes live music, comedy, theater, film, visual arts, dance, and more. You’d find headliners like James Brown, Tina Turner, and Etta James rocking the early years, while stars like Beck, The Black Keys, Wu-Tang Clan, and Bassnectar have graced the stage in recent years. The Washington State Fair is another great way to celebrate autumn. The month-long event is held in Puyallup, about 35 miles south of Seattle. Featuring great bites from around the state, exciting entertainment and arcade attractions, it’s fun for the whole family with giant pumpkins and funnel cakes galore. They also put on a Spring Fair in April, which includes adorable baby animals to pet, garden workshops, and even racing pigs. One of the best annual family-friendly events is the Seattle Children’s Festival, held at the Seattle Center on October 8. A day of music, dance, art and hands-on learning, kids can experience major forms of folk life including traditional Chinese dance, beat boxing, and more. For even more diversity, make your way back to the Seattle Center October 29-30 for the city’s Dia de Muertos celebration. You’ll enjoy live performances, face painting, sugar skulls, paper skeletons, and learn about the rich Mexican culture. Winterfest at the Seattle Center is the way to ring in the season. Dazzling light displays, entertainment, ice sculptures and skating are hallmarks of the month-long event to get you in the holiday spirit. Activities kickoff after Thanksgiving and run through New Year’s Eve. Enjoy a breathtaking lights display as the Woodland Park Zoo is transformed into a winter wonderland for WildLights. November 25 through January 1, over 600,000 LEDs are strung across the wildlife habitat as new meaning is given to the phrase “creatures are stirring.” Special activities like Winter Warm-Up for guests 21 and older and Indoor Snowball Fight for the younger set are also hugely popular. The Argosy Christmas Ship™ Festival has been a Pacific Northwest tradition since 1949. Every year, the vessel sails to a different one of the 65 Puget Sound waterfront communities to ring in the holidays. Aboard are passengers and carollers who are greeted onshore to bonfires and cheer. 2017 is going to be a bright year full of new beginnings, opportunities for escape, and a chance to see new places. With plenty to do, eat, and experience, it’s time to start planning your visit to Seattle, no matter what time of year you need to get away. This post was produced in partnership with iExplore. Lindsey is a Colorado native living life out in Telluride. She is an enthusiastic traveler, eternal student, Instagram junkie, and obsessive outdoor woman. Hi, I read your blog named “Must Experience Events in Seattle in 2017 | Visit Seattle” regularly.Your writing style is witty, keep it up!